It’s night three in Paris and this evening’s dinner is the best thus far for me. 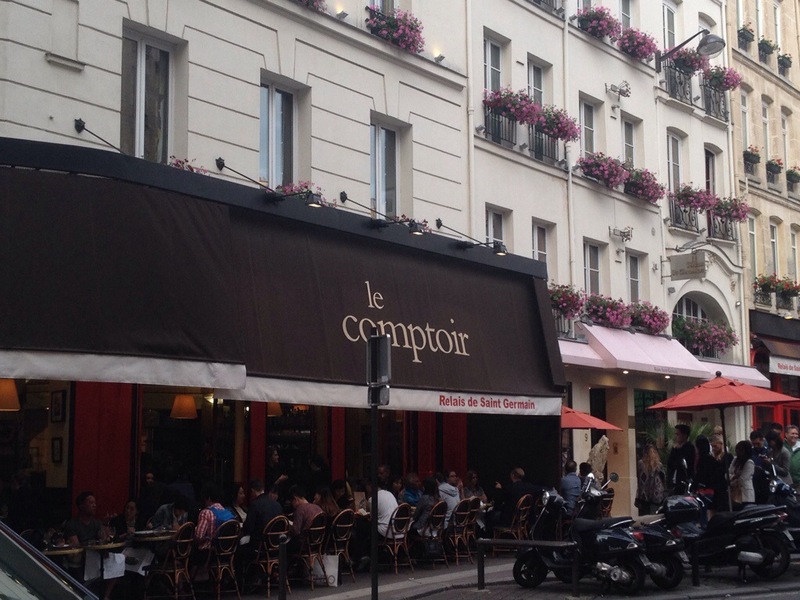 After our visit to the Louvre, we headed to St. Germain for an early dinner at le comptoir. 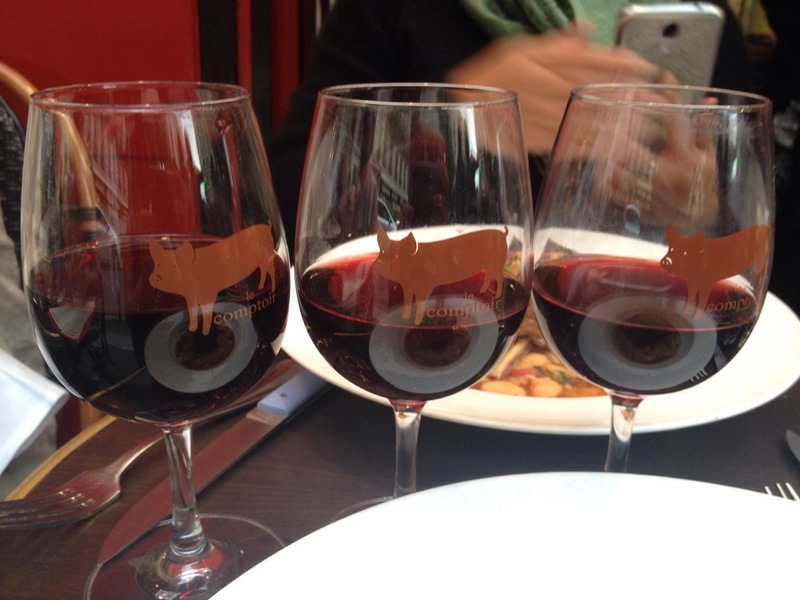 My friends and I ordered a bottle of Bordeaux to share. We got three different entrees (appetizers). 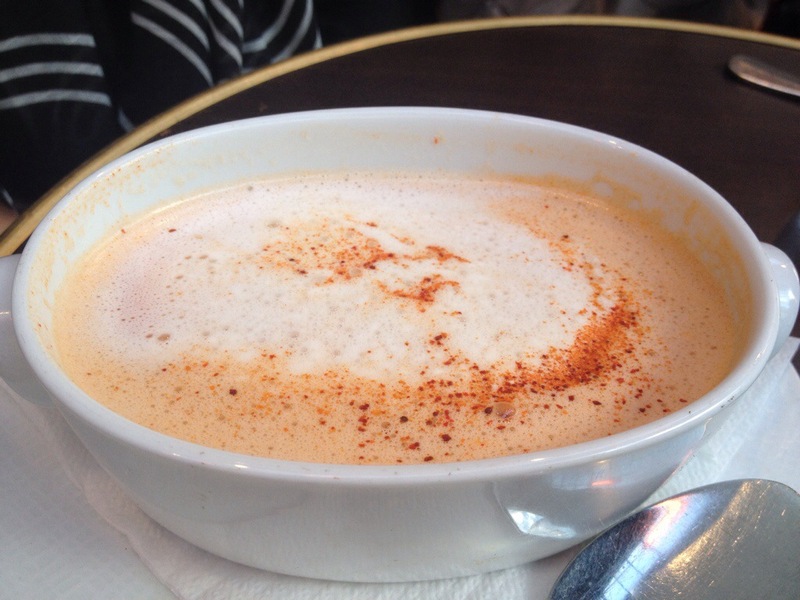 One of my friends ordered the bisque froide ou chaude (lobster bisque). It was a little too thin for me, but she enjoyed it because of the kick. My other friend obsessed with foie gras because she can’t get it anymore in California, got the foie gras de canard des Landes de Sandrine Paris. 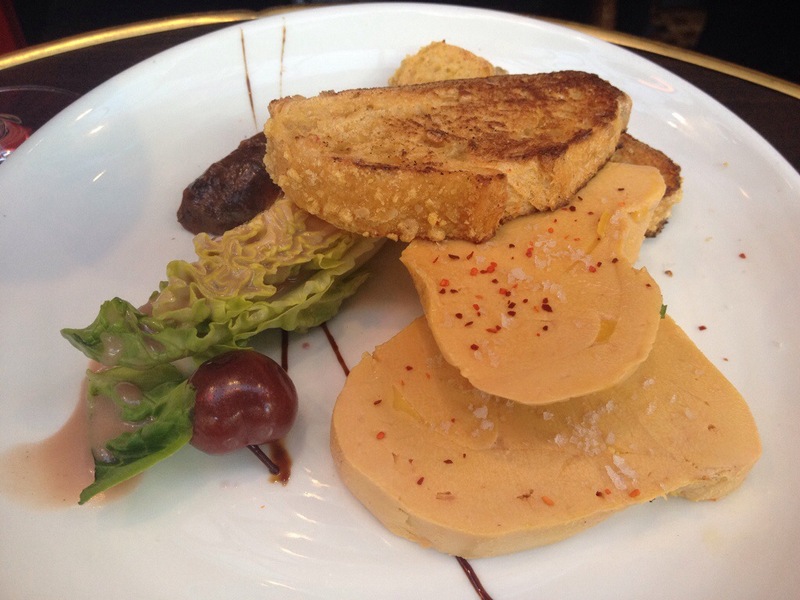 The French version of foie gras is typically cold and served like a pate to spread. It was quite rich and we were only able to eat half of it. On the recommendation of a Canadian woman sitting next to us, I ordered the escargot. 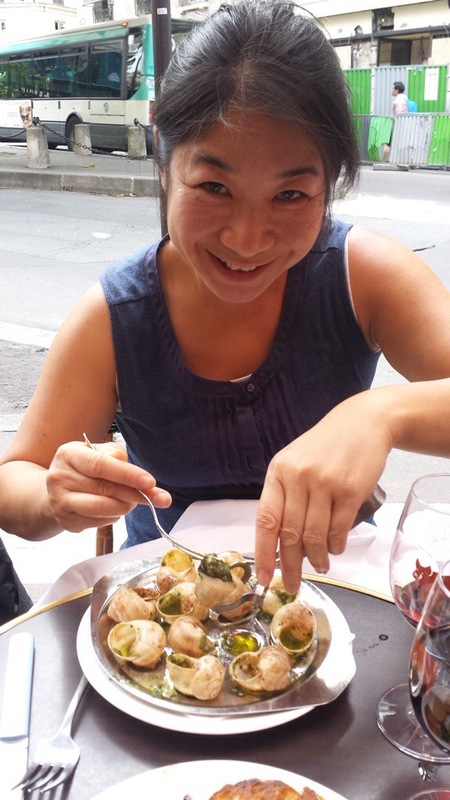 I was glad I had the experience of escargot in France as they were quite good. Our plats (entrees) arrived next. 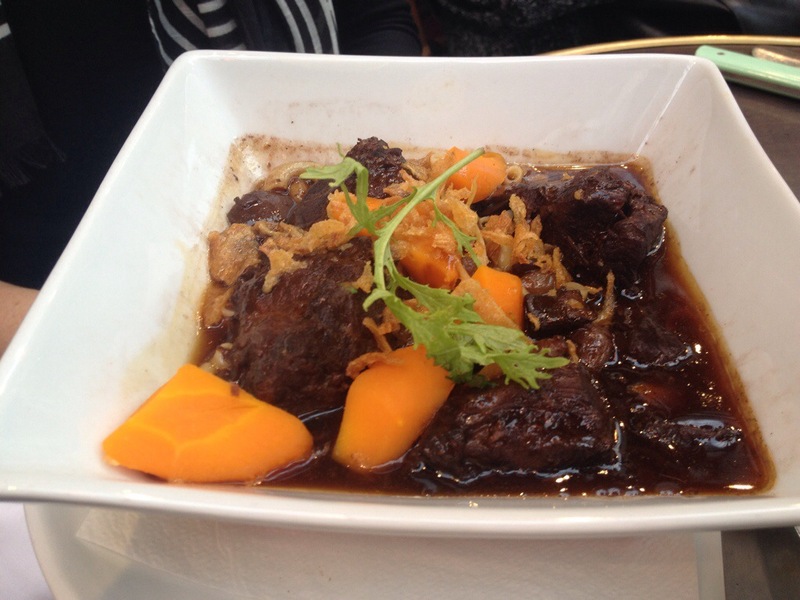 One friend ordered the daube de joue de boeuf coquillettes et carrots (beef stew). The beef was extremely tender and melted in your mouth. The carrots were amazing as well. 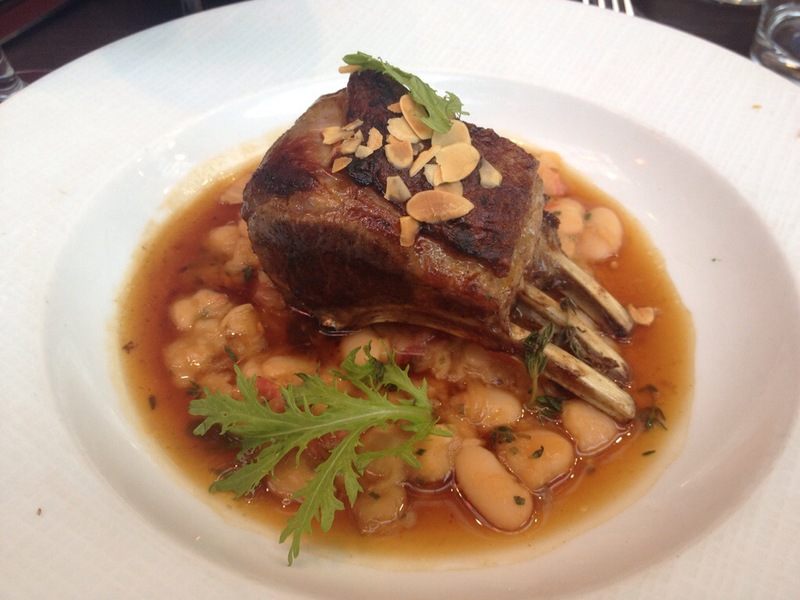 My other friend and I both ordered the carre d’agneau roti au thym haricots tarbais, echalotes au xeres (lamb chops with white beans). I loved my plat. The three of us ordered three different desserts. 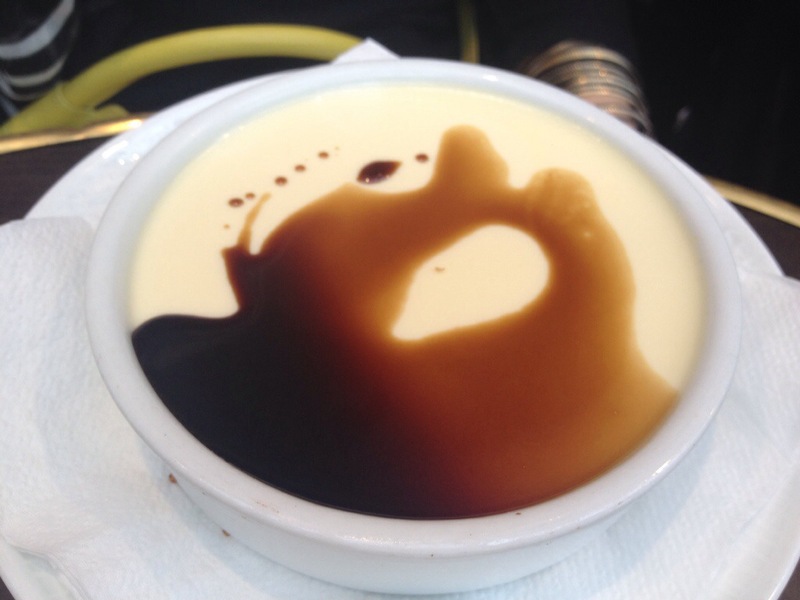 One friend ordered the pot de creme chocolat guanaja. This was very smooth and tasty. 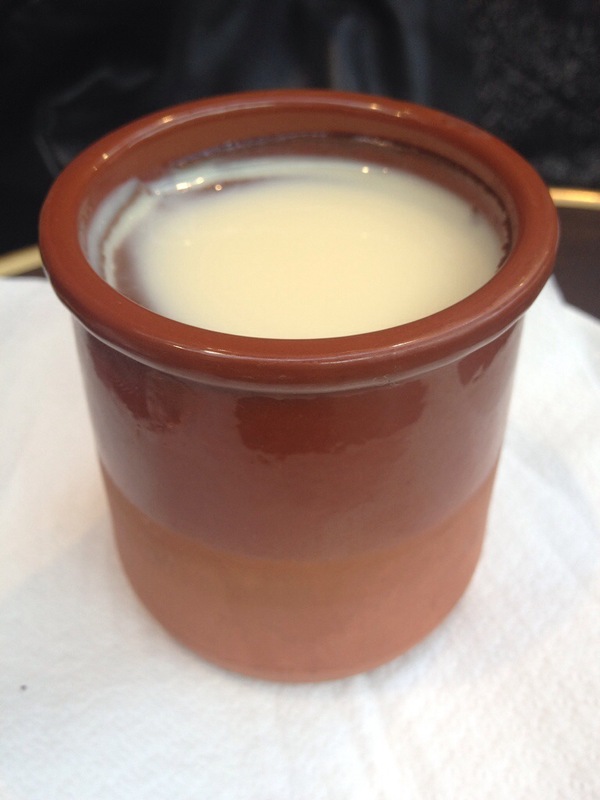 My other friend got the pannacotta vinaigre balsamique. It was very standard fare. 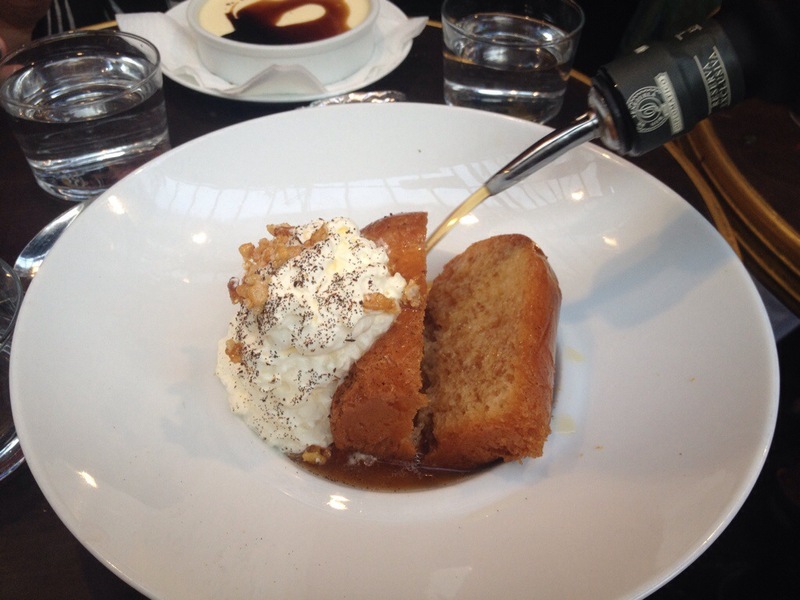 I got the most interesting dessert, the baba bouchon, chantilly, rhum. This dessert could get one drunk with all the rhum poured on it. We ended the evening like locals, with a cafe. Curious…. 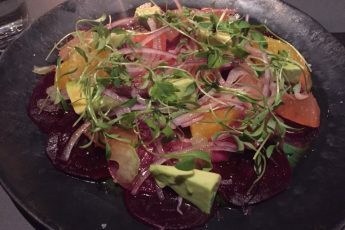 how long did it take to complete this fantastic looking dinner?